It can’t be an accident that the vast majority of top riders have a team around them supporting their career. 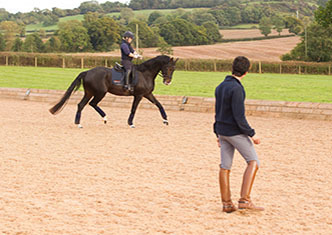 Horses and riders work better when they’re engaged in a routine. 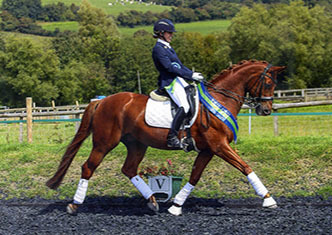 The combined talents of the team at Collective Equestrian mean that no matter your level we will be able to work with you to create a routine for your horse and yourself that allows you to make the most of your daily riding. 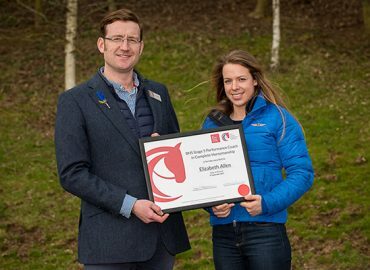 Whether you choose to join us at Collective Equestrian on a full training livery package, come several times a month for some private tuition, or simply join a weekly group lesson, you’ll find that riding in an atmosphere which is at once supportive and encouraging yet also challenging and engaging improves your riding and your competitive prospects. Lastly, sport is nothing if it doesn’t change us. We believe that when we get it right riding makes us better people. 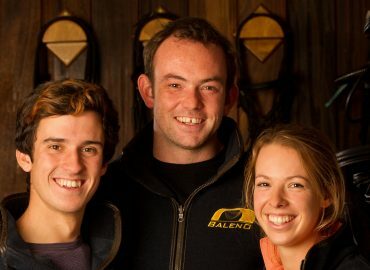 Come and meet our friendly folk down here at Collective. We would love to see you. Collective Equestrian is my horse’s home and my haven, to which I escape at the end of a working day. I love the fact that the team have taken the trouble to really get to know and understand Boris; his character and foibles. They treat him as if he were one of their own. The care lavished upon him is reflected in a settled and happy horse, which is something that gives me enormous piece of mind. 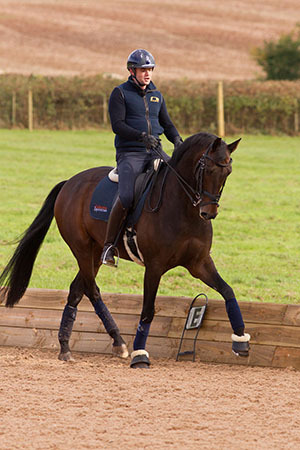 For me, as for any livery owner, the standard of care is obviously the paramount consideration, but in addition to thorough and expert horse management, Collective Equestrian also boasts some really excellent facilities (20 x 60 arena with a range of jumps including skinnies and corners for simulated xc questions, walker etc - there are even some good hills for fittening and canter work). 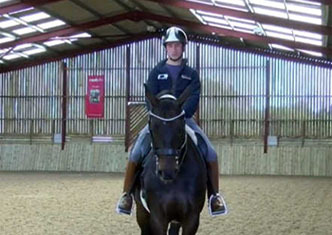 These facilitate my training and in turn help me to derive as much pleasure as possible from my riding. Forget the World Cup. 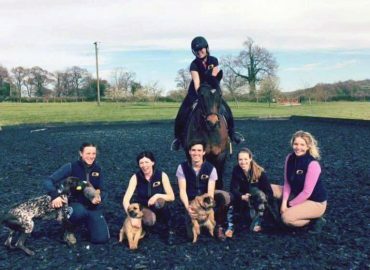 The three trainers who run Chew Magna based Collective Equestrian are all vying for the top spot at the moment, having each enjoyed success on the professional rider circuit over the last few weeks. 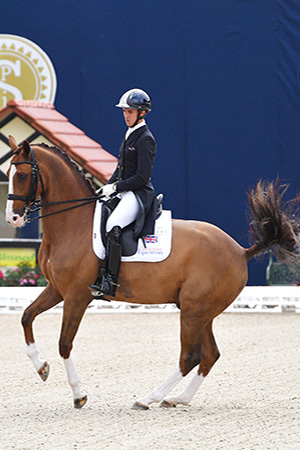 Elizabeth and Alana Cowley’s gorgeous Nico on his way to 67% & 68% in his prelims yesterday! Having had a very successful racing career we are delighted with his progress as well as his incredible attitude to work 😇 He will be making his showing debut next month too! 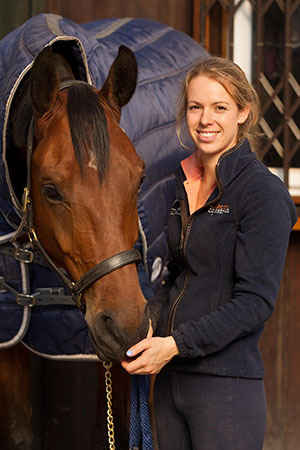 Go Nicki was that the prelim 18 test? 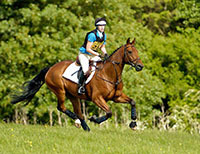 A fantastic day at Mendip Plains Equestrian Centre cross country schooling with Elizabeth Allen. Back again on Wednesday and next Monday if anyone else would like to join in? What time Wednesday please and how do book? Mia Rowdon baby pony was fantastic this morning! !